Breakbeat Kaos returns to the forefront of the bass music scene in 2018 celebrating 15 years since its inception. Founded by DJ Fresh and Adam F the BBK brand has been synonymous with some of the biggest talents in electronic musis worldwide, founding many a career. 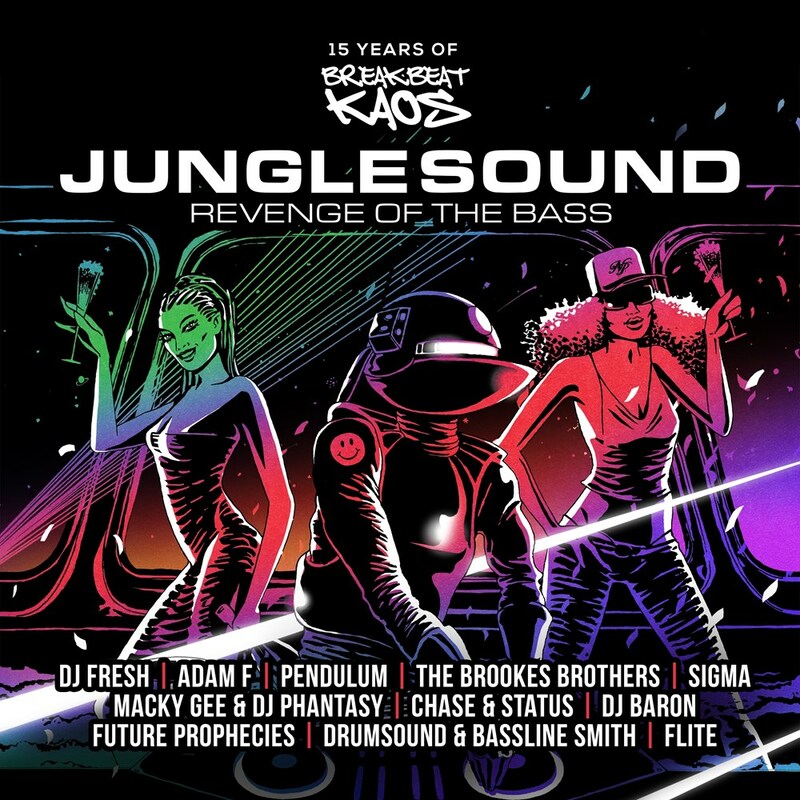 'Junglesound: Revenge Of The Bass (15 Years Of Breakbeat Kaos)' encapsulates the label essence, showcasing just a few of DJ Fresh's favourites plus several brand new exclusives and remixes that pave the way for the continued return of BBK.